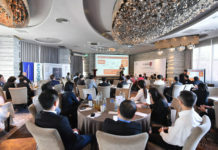 High interest was evident among the invited CIOs as they gathered for the recent morning breakfast meeting held at the ST. Regis Singapore, with energy levels carrying through the course of the presentations and lively Q&A. Kicking off the proceedings, Glen Francis, President of CIO Academy Asia noted that the gaining pace of conversations on digital and workforce transformation suggest growing expectations and concerns over how the future of work will impact organisations and vice versa. How enterprises each approach the challenges in the context of their digital transformation journeys can be telling, as evinced by the two keynote speakers from different organisations. i.e. ‘Digital Excellence for a Changing Business’ to guide delivery of commitments, enable competitive advantage, transformation of user experiences and development of people and culture, all undergirded by one IT organisation. As a testament to organisational will, even operating constraints and restrictions on data sharing due to sensitive defence and military projects were not considered insurmountable; the constraints led to their adoption of a cloud-based secure infrastructure that allowed data sharing and centrally- administered services, while easing security upgrades and assuring common standards. The transformations at the user level were even more dramatic, allowing significant improvements in procedures such as remote expense processing for offshore personnel that did away with the long delays and complexities of manual claims. Rolls-Royce’s commitment to delivering improved user experiences also ensured that the workforce had a choice of approved devices with regular apps and capabilities that allowed them to use a single device for work and personal purposes. Other workplace changes to enable flexibility included hot-desking, support for remote working, and use of wearable and AR tech capabilities on the shop floor that greatly reduced the need for costly on-site consultants or diagnostics. The changes set in motion a need to continually keep up with users’ demand for new capabilities while also ring-fencing the organisation from risks, which led to a review of their security suites and services requirements. Serving the next gen user experience and the need to test new technologies came with a tall order, one that Rolls-Royce looks to have achieved with balance and a keen eye on the broader corporate implications. The mention of balance reminded Glen of the premise in the book ‘Age of Discovery’ by Ian Goldin and Chris Kutarna on approaches in the course of navigating uncertainty. DSM’s context offered a contrasting picture of workplace transformation. The IT organisation at the global life science organisation with diverse product lines and industry divisions underwent restructuring from 2014 to 2016, transforming the network design architecture from a federated to a centralised system with a strong focus on compliance and validated systems. Business units still drove their own initiatives such as marketing and R&D but capabilities were built on a common supporting IT and service infrastructure overseen by the Corporate CIO. The latter worked with business units on a Demand, Plan, Build and Run basis towards delivering 80% of capabilities via the cloud and internet by 2016. 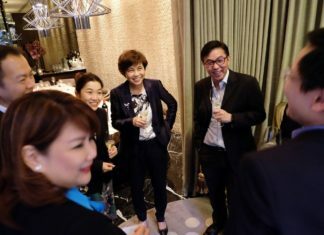 As Clara Lee, CIO – DSM Materials, Innovation and Food Specialties of DSM Engineering Plastics Asia Pacific puts it, the strategy’s 5-pillars – namely Service, Automate, Connect, Stimulate and Insight sounded cut and dried but there was a real drive to create ‘desirable solutions’ that people wanted to use. 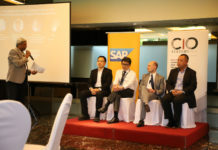 Consolidation of IT assets into a Digital Hub and restructuring to enable development of process APIs with business units was meant to spur initiatives at the business level, drive education at the front-lines even among customers, and push for greater knowledge sharing, idea generation and innovation grounded on real end-user and customer needs. While philosophically enabling, the situation in reality may also require further inducements from a management perspective. Enabling technologies and infrastructure may be necessary first steps to empowering diverse business unit teams but getting them to take initiative on their own may still require directives from the top. Regrouping after a break, panellists comprising the 2 keynote speakers with CIO of Singtel Group Enterprise James Loo, Chief Digital Officer of SP Group Samuel Tan, and Vice President for Enterprise Sales at Dell EMC Eric Goh were set to discuss the broader implications of Singapore’s Smart Nation initiatives on work practices and the workplace, and necessary responses from the corporate and technology perspectives. There was broad consensus that despite the hype over the smart technologies involved, initiatives would fail if people are blind-sided by technologies alone without adequately complementing or serving users or their needs. 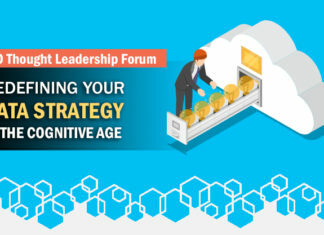 As James noted, ‘smart’ technologies should entail more than just connectivity between devices and should focus more on UX and strategies for delivering real value. Sam agreed, noting that digital technology is even changing the competitive landscape to the extent that SP no longer regards other power/energy companies to be competitors; rather, they are looking to enterprises like AWS and Alibaba. Digital transformation is necessitating a mindset change in the corporate sector, focusing attention on delivering value, changing business models and processes in response to broader market developments and expectations. It calls for refocusing around increasingly social media savvy customers who can be vocal in expressing their priorities and needs. His quip spurred a comment from the floor that technology’s smartness should even be felt and experienced – it should be so easy to use and enabling that users feel smart even if they are not! This led to considerations of user empowerment – how solutions could be designed specifically for customers to easily manage their own end-point devices and services according to need and yet secure enough to take the load off users. Robust back-end security with regular patches, data management, support and tech infrastructure are needed to enable great UX on the front-end. That in turn called for good communication to ensure alignment among different stakeholders on what digital transformation really means for both internal and external customers. This is likely easier said than done, as Sam noted from experience in the power and energy industry. 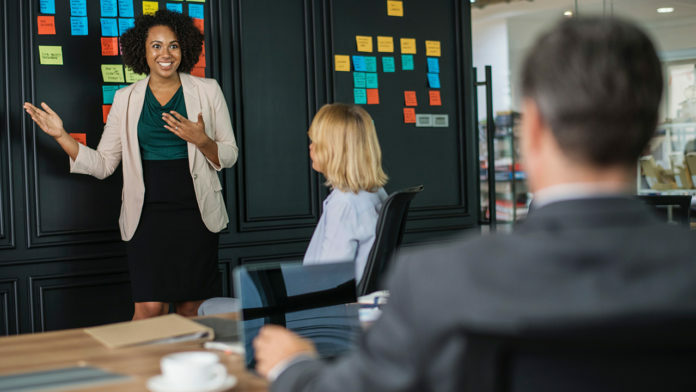 Convincing the Board is one thing but getting the rank and file and especially organisational veterans on board may be a very different story, which suggests organisational culture to be a significant factor. A way to address this is, again, to paying attention to UX and ensuring that enabling technologies are not only easy to use but also able to clearly demonstrate value to users. At the other extreme are segments of users and even customers who are keen to drive initiatives – to the extent that digital transformation decisions may no longer entirely reside with CIOs or IT leaders. Beyond implications for organisational culture and necessary supporting infrastructure, it raised questions as to how broader change should be conveyed without necessarily needing to come down from the CIO. Reconciling this may involve changing the work environment right from the top and focusing on value as the basis for any change or initiative. In broad strokes, this calls for a re-orientation of awareness and responsiveness to user and customer-oriented touchpoints. Dynamic computing in the retail context was mentioned as an example that can offer useful reference points. To enable and deliver benefits and user expectations, cloud and internet-based delivery of services suggests a useful approach. Clara noted that data security and information management measures would need to be in place, such as information handling according to data classification and categories. Likewise with device management policies, useful insights may be drawn from the notion of serving the needs of different workplace personas. That said, organisations often struggle when it comes to app development for myriad users’ needs, having to ensure that they can securely and robustly address requirements and provide support. James suggested disciplined approaches can help, such as the practice of re-engineering exercises to develop solutions by design according to field usage and context, and running all apps through the stack for end-to-end clearance. On top of such challenges, some IT leaders also had to drive transformation initiatives from within less than ideal environments, such as having to work with legacy systems like mainframes. 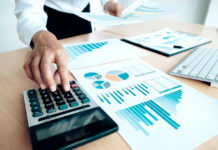 Risk management is a further consideration, and drew interesting comments on how security incidents may be seen as the lag effect of innovation because controls and regulations tend to play catch-up with technology. Ultimately, however difficult or complicated it might be for IT to deliver the goods for end-users, users were largely only concerned with having their needs met with easy-to-use technologies that. Drawing the session to a close, attendees were invited to ponder further organisational and workplace implications for the next generation who may no longer be relatively passive technology users but will be social media savvy and also expect to be active in collaborating and creating their own solutions. To find the PDF version of this report, please visit here. About Dell EMC – Dell EMC is a part of the Dell Technologies family of brands. Dell Technologies is a unique family of businesses that provides the essential infrastructure for organizations to build their digital future, transform IT and protect their most important asset: information. The company services customers of all sizes across 180 countries – ranging from 98 percent of the Fortune 500 to individual consumers – with the industry’s most comprehensive and innovative portfolio from the edge to the core to the cloud.